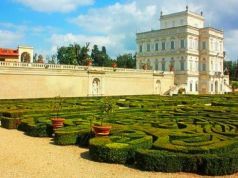 A short guide to some of the most enchanting gardens located just a car trip away from Rome. One of the best rose gardens in Lazio about 7 km from Bracciano north of Rome. The estate gardens surround the large square three-storey farm castle, which stands on a high island of volcanic tufa rock facing Cervetari and the sea, and they encompass the church of S. Fillipo Neri in the grounds. The planting of the garden is the work of Marchesa Umbertina Patrizi and shows a garden style that is rarely found in public parks in Italy. There are more than 1,000 rose bushes, including fine climbers on the castle walls. Only open for group bookings. The annual Festa delle Rose normally takes place in mid-May. Palazzo Patrizi, Castel Giuliano, tel. 0699802530, see website for more details. The 10th edition of Floracult, the popular floral and amateur gardening festival, takes place in the La Storta area of north Rome from 25-28 April, from 10.00-19.00. Dozens of exhibitors participate in the four-day festival which brings together Italy’s horticultural experts and the latest gardening trends. Ample parking and free shuttle bus from La Storta station. Admission €9; children under 12 free. Casali del Pino, Via Andreassi 30, La Storta, Via Cassia km 15, tel. 345/9356761. For full details see website. On the island of Ischia off the coast of Naples is an oasis of tropical and Mediterranean plants. The gardens were created in 1958 by Susana Walton, the wife of English composer Sir William Walton. La Mortella is divided into two areas: the valley garden and the hill garden. The valley, designed by celebrated English landscape architect Russell Page, is shady, luxuriant and tropical whilst the hill, designed by Lady Walton, is sunny and Mediterranean. The garden design takes advantage of the sea views and is enriched by fountains. Open until 1 November, on Tues, Thurs, Sat, Sun from 09.00-19.00. La Mortella also organises open-air concerts of classical music in its Greek Theatre which overlooks the sea. Via Francesco Calise 39, Forio d'Ischia (NA), tel. 081986220, see website for more details. 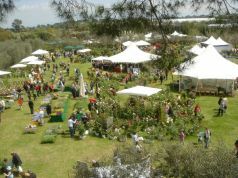 The Primavera della Landriana, the annual garden fair and horticultural sale, takes place at the Landriana gardens south of Rome from 25-28 April, from 10.00-19.00. The ten-hectare gardens were created in the 1950s by owner Marchesa Lavinia Taverna Gallarati Scotti with the help of Russell Page. Now considered the most important post-war garden in Italy, Landriana contains 32 secret rooms and walks including one planted entirely with Mutabilis roses. Driving from Rome, take Via Pontina or the coastal road to Ardea, or by train on the Rome-Nettuno line to Campo di Carne. 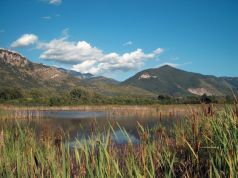 Via Campo di Carne 51, Tor S. Lorenzo, Ardea, tel. 0691014140, see website for more details. 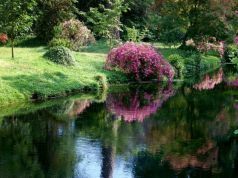 This romantic English-style garden spread over eight hectares was built by the Caetani family at the start of the 20th century on the ruins of the mediaeval town of Ninfa. 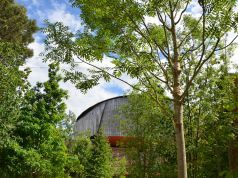 The garden is open to all, without obligatory booking, from 6 April to 3 November on the first Saturday and Sunday of the month, on the third Sunday in June, July and August, and the first Sunday in November. This year it is open every Sunday in April and May. However groups (minimum of 30 people) that book a guided tour can visit the gardens all year round. 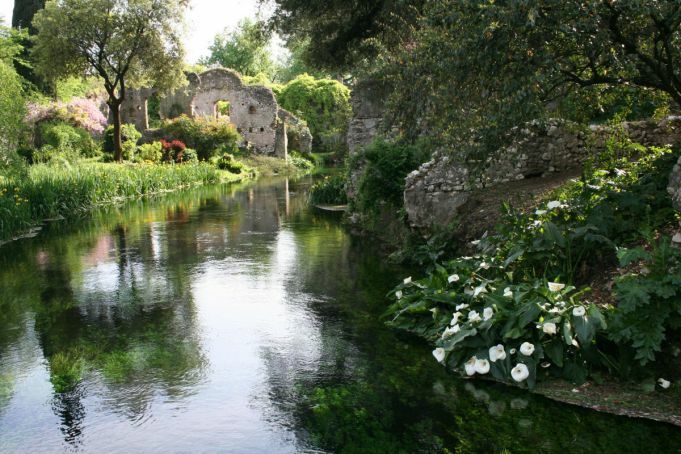 Ninfa is part of the natural monument of the same name established by the Lazio region in 2000. Fondazione Roffredo Caetani Onlus, Via della Fortezza 04010 Sermoneta (Ninfa), see website for more details. 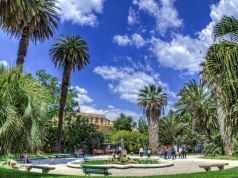 This botanic garden is located in the heart of Trastevere, behind Palazzo Corsini and across from the Villa Farnesina, on a 12-hectare sloping site filled with palms, yucca and terraces with gravel paths. Established in 1883 after the Corsini family donated it to the Italian government, it is now run by the University of Rome La Sapienza. The gardens host over 3,500 species of plants, including specially-cultivated plants in danger of extinction in the wild, and feature a scent-and-touch garden for the visually impaired. Open every day 09.30-18.30, and from 30 Oct-31 Dec 09.30-17.30. Largo Cristina di Svezia 24, Trastevere, tel. 0649917106, see website for more details. 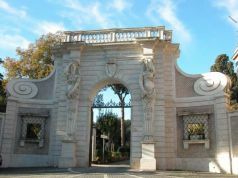 The Barberini gardens at Castel Gandolfo are located in the Alban hills about 25 km south-east of the capital, and have spectacular views over Lake Albano. 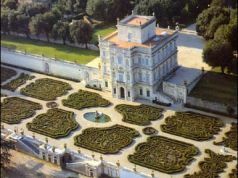 The 30-hectare papal gardens feature ancient Roman ruins dating back to Emperor Domitian as well as a square of holly oaks, paths of roses and aromatic herbs, and a magnolia garden. 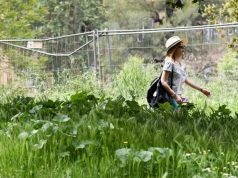 The 55-hectare site, which includes a 25-hectare Vatican farm, has acted as a papal retreat since the 17th century but in 2014 was opened to the public by Pope Francis for the first time. The 1.5-hour guided tours of the Barberini gardens are held Mon-Sat at 08.30, 10.30 and 11.30. Tours can be booked by emailing visiteguidategruppi.musei@scv.va, full visiting information on the Vatican Museums website. 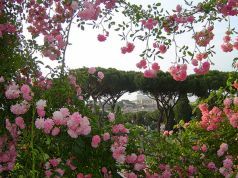 Rome’s municipal rose garden on the Aventine hill opens from 21 April until mid-June. There are two separate sections overlooking the Palatine hill and Circo Massimo: the upper garden with its collection of classic “old roses”, and the lower garden featuring the entries of the prestigious annual international rose competition known as the Premio Roma, which this year takes place on 18 May, and a collection of winning roses from previous years. The gardens will be closed on the day of the prize-giving but from the next day onwards the public can admire the winning specimens. The Roseto is home to over 1,000 varieties including a green-blossomed rose from China. Daily 08.30-19.30. Via di Valle Murcia 6, tel. 065746810, rosetoromacapitale@comune.roma.it. Built for the Cardinal Ippolito D'Este around 1555, these complex renaissance water gardens in Tivoli are among the most famous in the world. Water from the nearby river Aniene is channeled under the city of Tivoli to feed the gardens' vast range of spectacular fountains, including the celebrated organ fountain. Cascades, pools, water staircases, grottoes and nymphs are revealed at every turn. The villa has a bar and restaurant on the terrace overlooking the gardens and there is a bookshop. Tues-Sun open from 08.30. 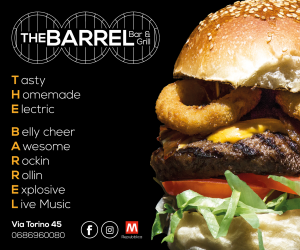 Mon open from 14.00. Closing time in April is 19.15, May-Sept 19.30. For full details see website. Piazza Trento 5, Tivoli, tel. 199766166, villadestetivoli@teleart.org. 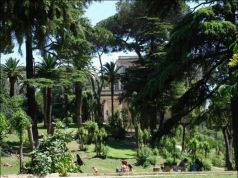 The American Academy includes five hectares of organically-cultivated gardens on the Janiculum hill. 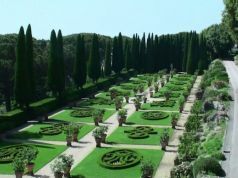 The Aurelia Gardens were originally laid down by the Farnese family in the 17th century, and follow a classical layout. They are characterised by giant dome-shaped topiaries and fountains and the entry drive is lined with mixed borders of white and blue flowering plants. The Bass Garden at the McKim, Mead & White Building and around the Casa Rustica features cherry trees, olives, cypresses and Roman pines. It also has an orchard with persimmons, apricot, plum and crab apple trees. The gardens are home to the Rome Sustainable Food Project whose organic produce is enjoyed by the academy's community. American Academy in Rome, Via Angelo Masina 5, tel. 0658461, see website for more details. With their cherry trees, wisteria, irises and dwarf pines the gardens of the Rome’s Japanese Cultural Institute feature all the essential elements associated with the Sen-en style, including a waterfall, ponds, an ornamental bridge and a traditional tōrō stone lamp. 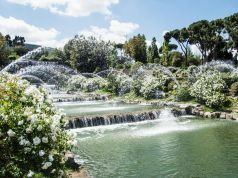 The gardens are the work of garden designer Ken Nakajima, who was also responsible for the Japanese section of the botanic gardens in Trastevere. Groups of 15-20 people are taken on guided tours, free of charge, but booking by telephone is necessary. The gardens are open to the public with tours every half hour on Thursdays and Fridays from 15.00-16.30, and on Saturdays from 10.00-12.00, until 30 May. Istituto Giapponese di Cultura, Via A. Gramsci 74, tel. 063224754, see website for more details. Located between Trinità di Monti and Villa Borghese, Villa Medici has been home to the French Academy in Rome since 1803. Its magnificent 16th-century gardens are laid out in a series of squares, lawns and fountains. Distinctive features of the gardens are the umbrella pines and sculptures, the most admired being the group of Niobe's dying children. The celebrated French artist Balthus, who was academy director from 1961-1977, had copies made of the fourth-century Niobe orginals. The gardens are open every day except Monday for guided tours in English, French and Italian. However groups (up to 25 people) can book a visit at any time. Académie de France à Rome - Villa Medici, Viale Trinità dei Monti 1, tel. 0667611, see website for more details.